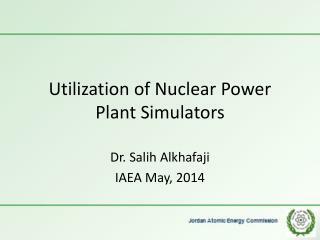 Utilization of Nuclear Power Plant Simulators . 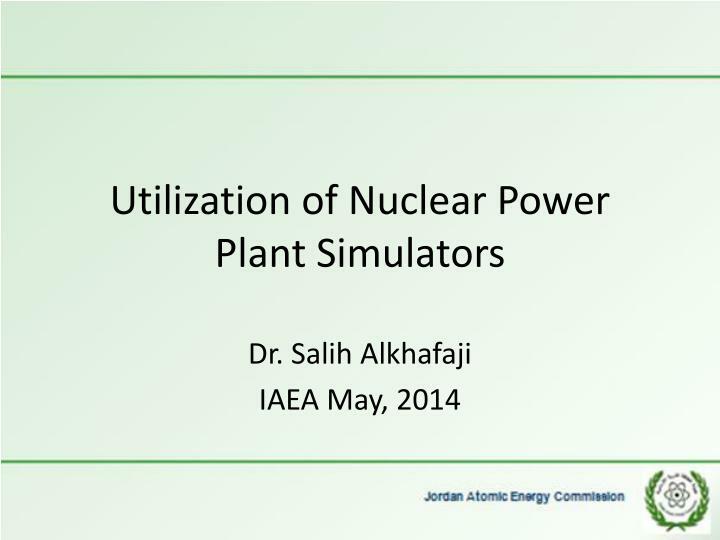 Dr. Salih Alkhafaji IAEA May, 2014. Proper Talk Title. 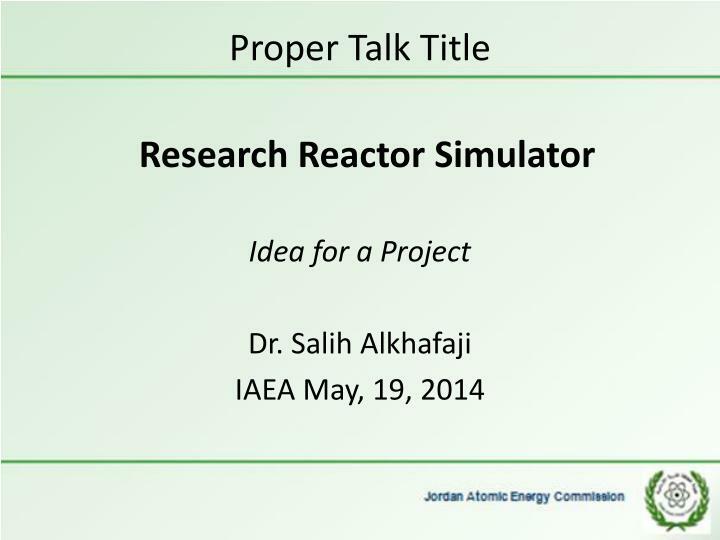 Research Reactor Simulator Idea for a Project Dr. Salih Alkhafaji IAEA May, 19, 2014. Introduction. 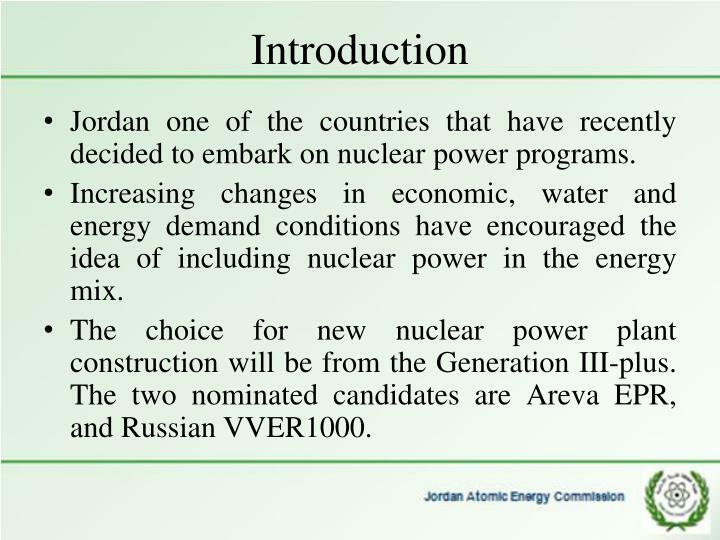 Jordan one of the countries that have recently decided to embark on nuclear power programs. Increasing changes in economic, water and energy demand conditions have encouraged the idea of including nuclear power in the energy mix. 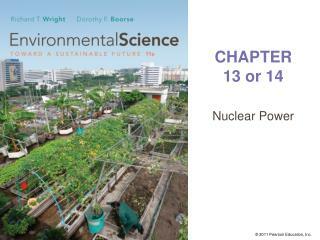 The choice for new nuclear power plant construction will be from the Generation III-plus. The two nominated candidates are Areva EPR, and Russian VVER1000. 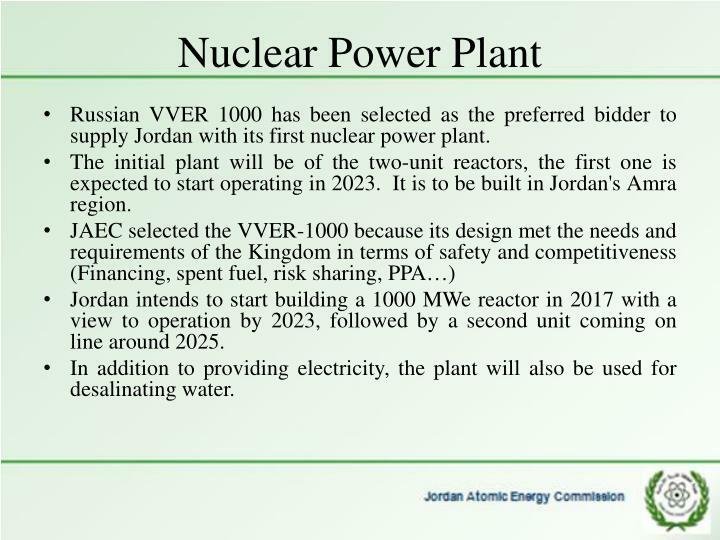 Russian VVER 1000 has been selected as the preferred bidder to supply Jordan with its first nuclear power plant. 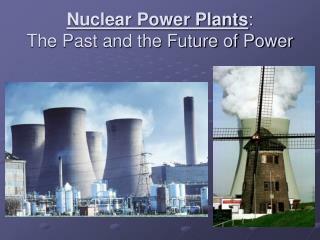 The initial plant will be of the two-unit reactors, the first one is expected to start operating in 2023. It is to be built in Jordan's Amra region. 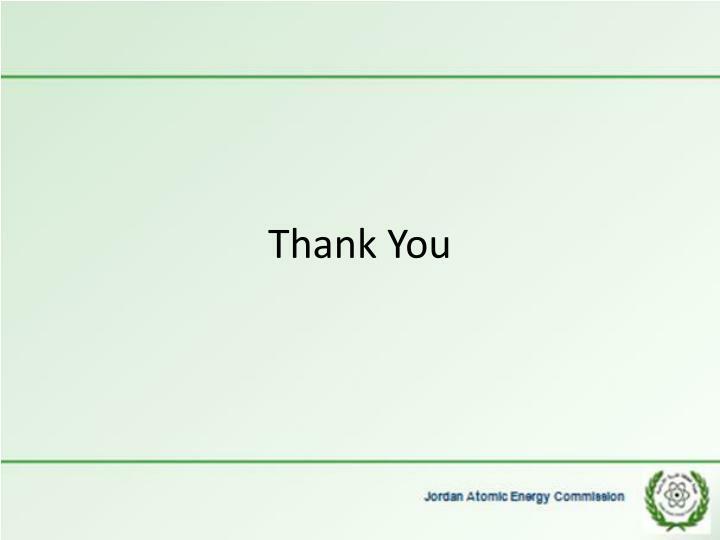 Jordan intends to start building a 1000 MWe reactor in 2017 with a view to operation by 2023, followed by a second unit coming on line around 2025. 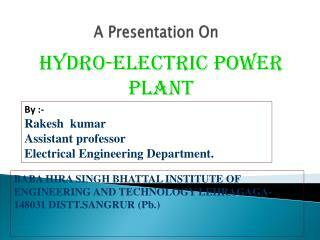 In addition to providing electricity, the plant will also be used for desalinating water. 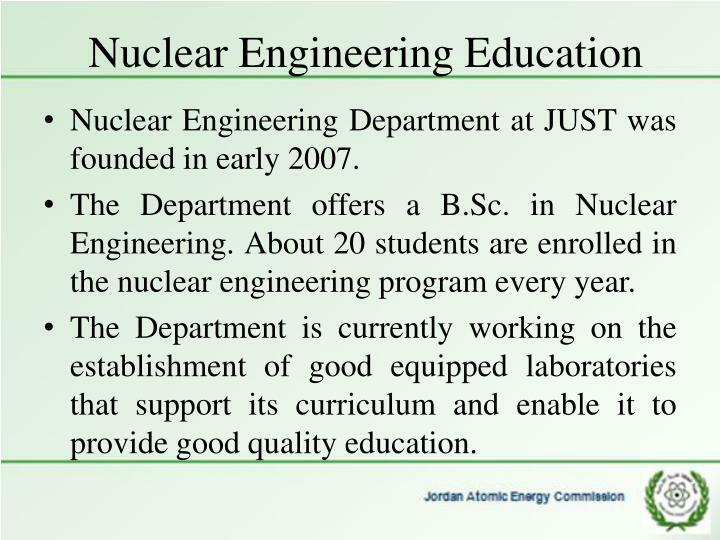 Nuclear Engineering Department at JUST was founded in early 2007. The Department offers a B.Sc. 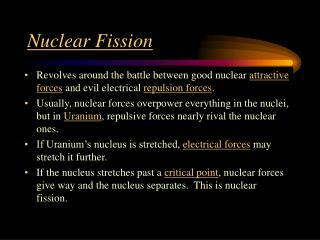 in Nuclear Engineering. 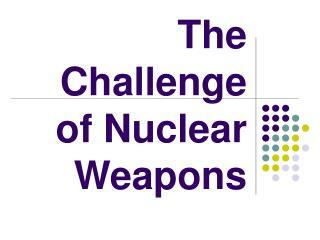 About 20 students are enrolled in the nuclear engineering program every year. The Department is currently working on the establishment of good equipped laboratories that support its curriculum and enable it to provide good quality education. 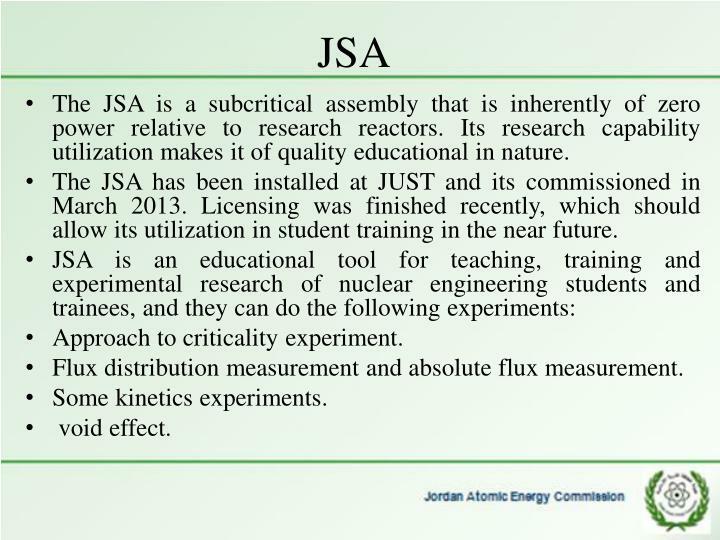 The JSA is a subcritical assembly that is inherently of zero power relative to research reactors. Its research capability utilization makes it of quality educational in nature. The JSA has been installed at JUST and its commissioned in March 2013. Licensing was finished recently, which should allow its utilization in student training in the near future. Flux distribution measurement and absolute flux measurement. 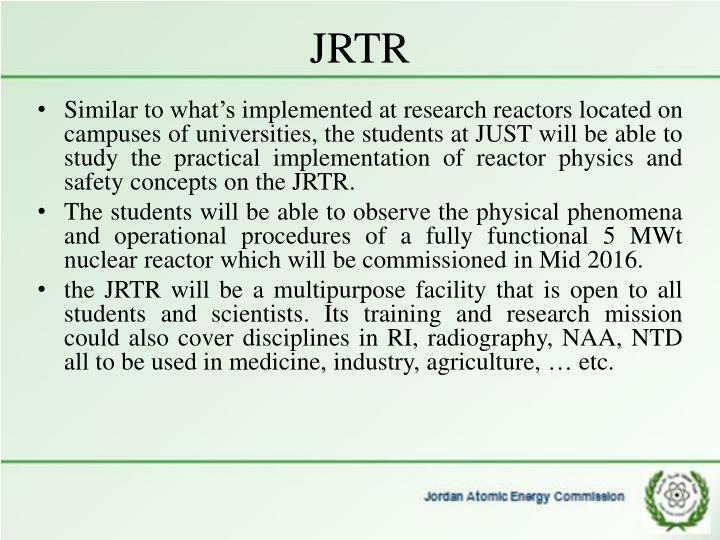 Similar to what’s implemented at research reactors located on campuses of universities, the students at JUST will be able to study the practical implementation of reactor physics and safety concepts on the JRTR. 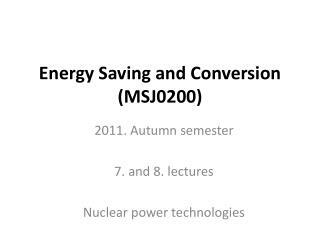 The students will be able to observe the physical phenomena and operational procedures of a fully functional 5 MWt nuclear reactor which will be commissioned in Mid 2016.
the JRTR will be a multipurpose facility that is open to all students and scientists. Its training and research mission could also cover disciplines in RI, radiography, NAA, NTD all to be used in medicine, industry, agriculture, … etc. JRTR is a national and regional facility that is open to students and users from regional universities, research institutes as well as medical, industrial and Forensics. 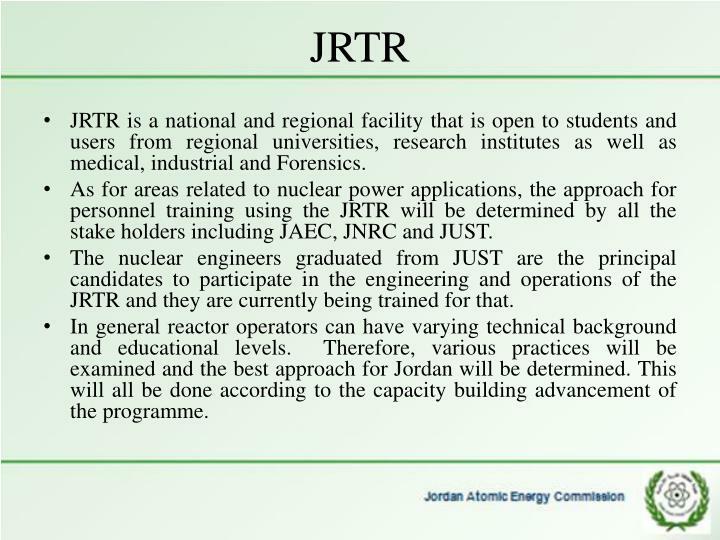 As for areas related to nuclear power applications, the approach for personnel training using the JRTR will be determined by all the stake holders including JAEC, JNRC and JUST. 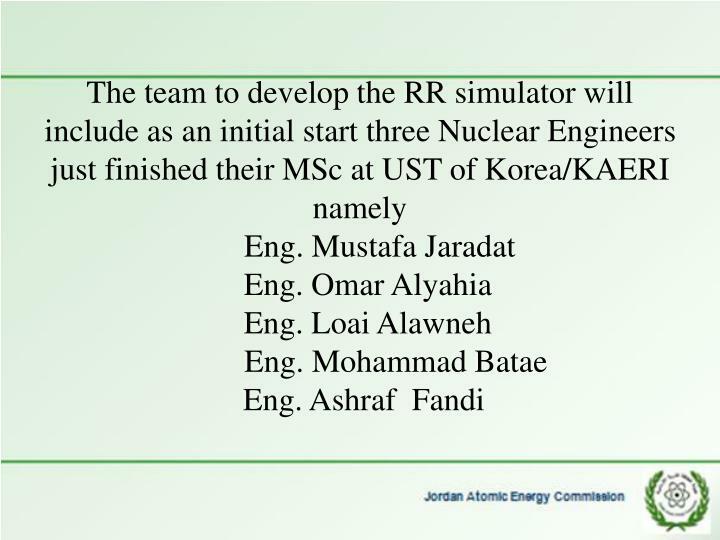 The nuclear engineers graduated from JUST are the principal candidates to participate in the engineering and operations of the JRTR and they are currently being trained for that. In general reactor operators can have varying technical background and educational levels. Therefore, various practices will be examined and the best approach for Jordan will be determined. This will all be done according to the capacity building advancement of the programme. 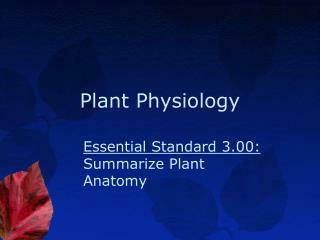 A low cost PC-based hand’s on educational tool that is relatively easy to learn and use. 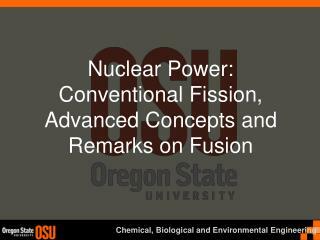 Training the first-generation technical staff - complementing classroom lectures in reactor physics, thermal-hydraulics, and plant technology. 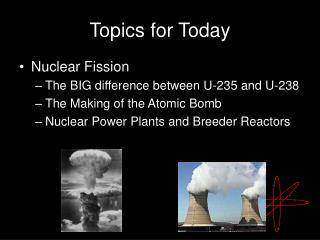 Teaching aid for demonstrating concepts of nuclear science and engineering. 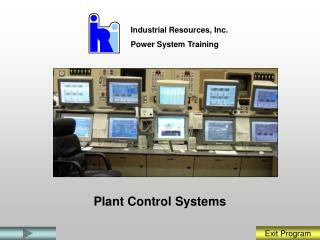 Understanding into basic Reactivity Control Features, Safety Systems, and Operational Characteristics. 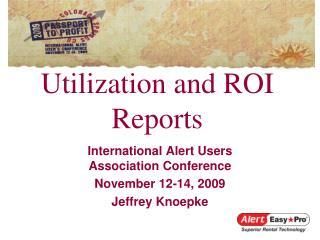 Ability to explore propagation and various responses and management to Transients and Accidents. Evaluation between the various designs. Demonstration to non-technical managers and politicians – Graphic animation that makes it easy for the layman to understand the technical differences between designs. 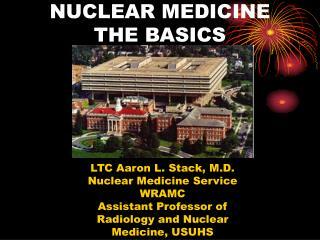 The PC-simulators are rarely used for research reactors. It will be a powerful tool complementing classroom lectures. 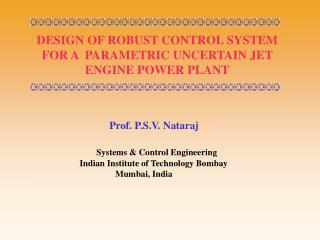 It can be used for education of reactor principles on the concept of delayed neutron effect, multiplication factor, criticality, control by rods and boron shim, feedback on fuel (Doppler) and moderator temperatures, core thermal hydraulic parameters and margins, xenon and samarium poisoning…etc. 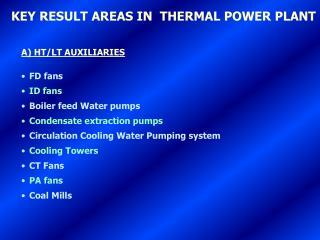 Recently we applied Nodal diffusion methods for research reactors calculations typically MTR fuel type reactor. 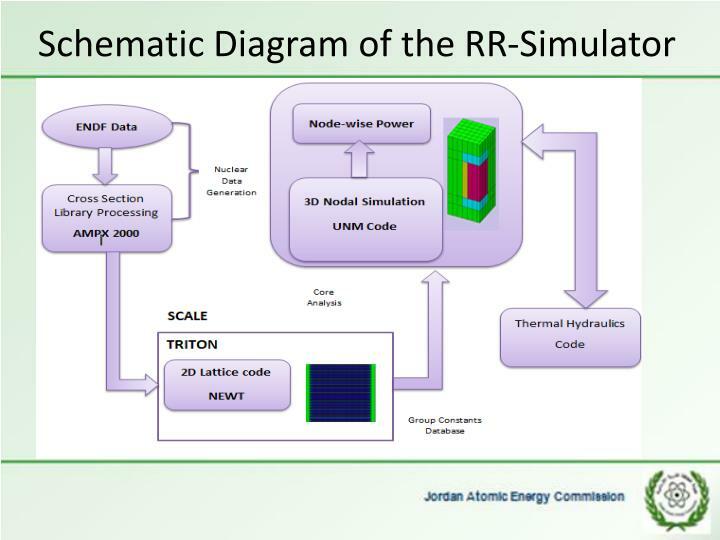 The nodal code was applied to research reactor calculations like criticality, flux distribution, and power distribution. It was used for burnup estimation in conjunction with TRITION-NEWT system. A transient and steady-state thermal hydraulic code has been developed for the MTR research reactor. 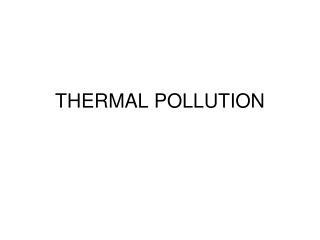 The thermal hydraulic code is based on solving the one dimensional transport equations. 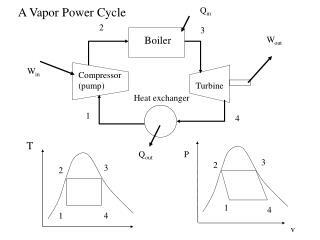 The code now is under development and we will make coupling between thermal hydraulics so we can perform transient calculations for a research reactor. A burnup estimation equation will be implemented in the code, so a full set of RR calculations can be performed using this code. 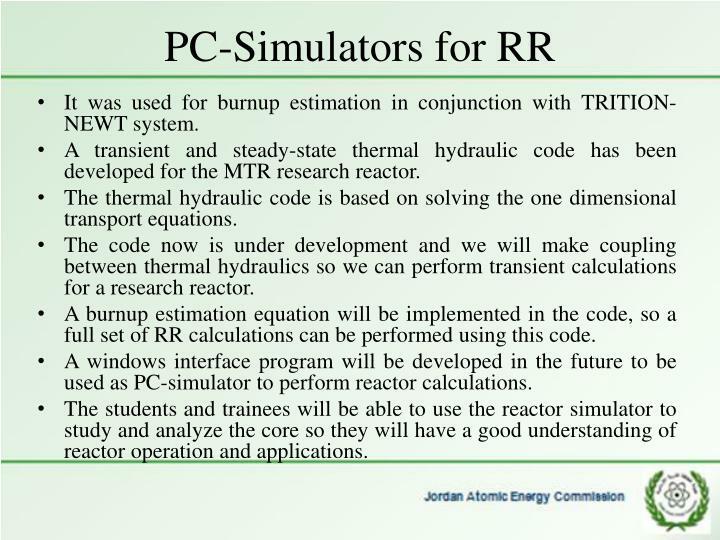 A windows interface program will be developed in the future to be used as PC-simulator to perform reactor calculations. The students and trainees will be able to use the reactor simulator to study and analyze the core so they will have a good understanding of reactor operation and applications. 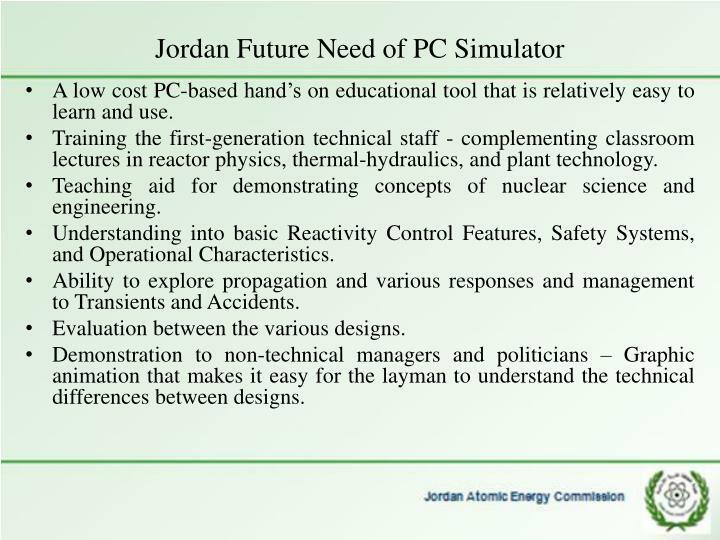 PC simulators TILL NOW are not used in teaching and training nuclear engineers in Jordan. 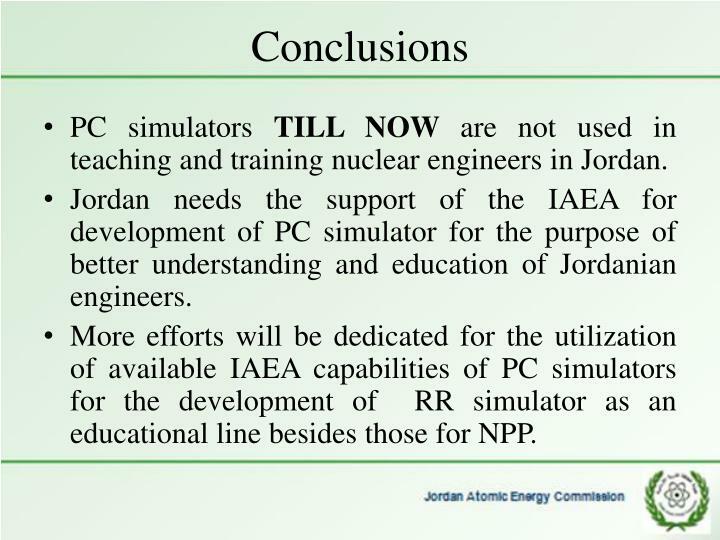 Jordan needs the support of the IAEA for development of PC simulator for the purpose of better understanding and education of Jordanian engineers. 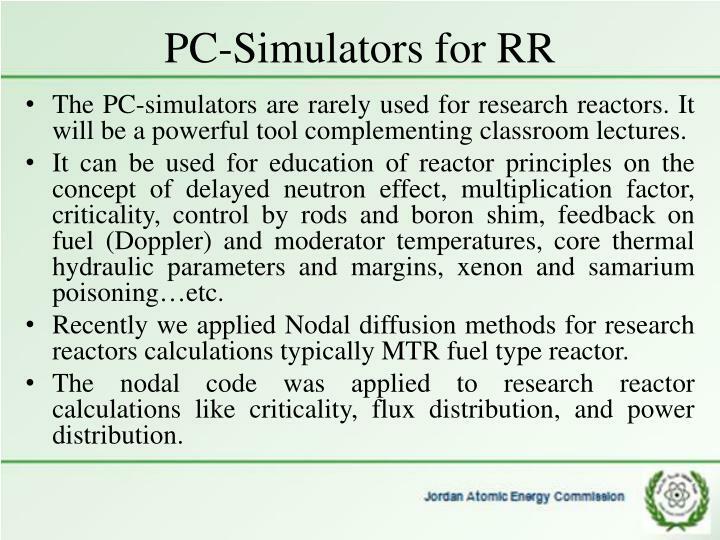 More efforts will be dedicated for the utilization of available IAEA capabilities of PC simulators for the development of RR simulator as an educational line besides those for NPP. 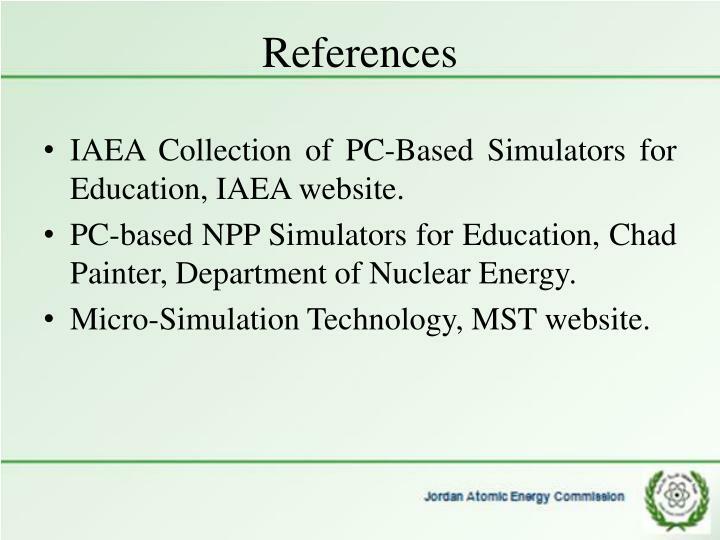 IAEA Collection of PC-Based Simulators for Education, IAEA website. 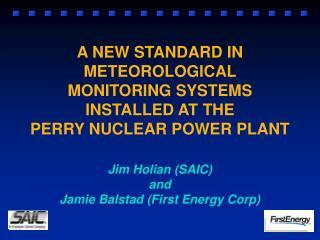 PC-based NPP Simulators for Education, Chad Painter, Department of Nuclear Energy. 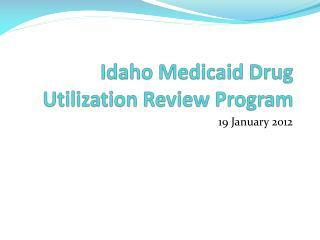 Idaho Medicaid Drug Utilization Review Program -. 19 january 2012. follow-up to previous reviews. analysis of auto refill practice hepatitis c transdermal testosterone utilization oral terbutaline utilization thiazolidinediones (tzd’s). 2: CANDU Design -. 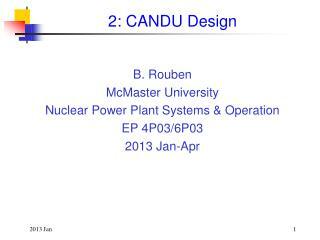 b. rouben mcmaster university nuclear power plant systems &amp; operation ep 4p03/6p03 2013 jan-apr. outline. the candu evolution candu vs. pwr candu 6 design. candu 9. 2000-20 10. douglas point. cernavoda 1. 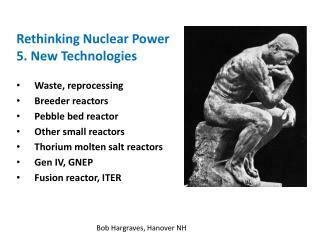 Nuclear Reactor Kinetics -Effective multiplication factor (keff). . keff determines whether the neutron density within a reactor will remain constant or change.. keff and power. 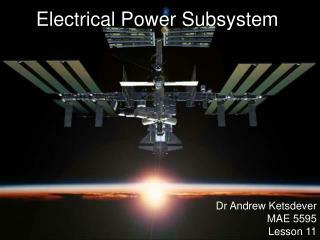 power is directly proportional to neutron density keff = 1.0000 ?